Many companies change their DNS server to the trusted DNS providers to increase their speed and security and it also works in manyother ways . 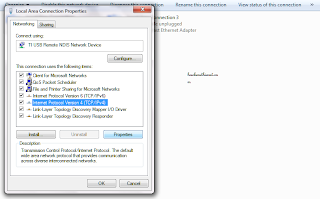 Thats why inorder to provide this facility to common internet users i am making this post, Therefore, i would refer Google to you for changing your Dns server. It's fully trusted. 1) It let's you surf web with more speed than your common DNS server. 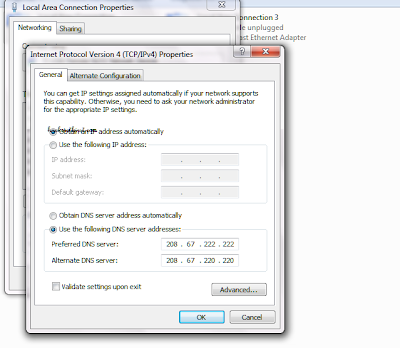 Change Dns Server to the opendns's server,i-e 8.8.8.8 and click okay and you are done. Properties will pop out now change your DNS server to the ones described above i-e 8.8.8.8 and check the validate option (I haven't checked but you do check) in the end after closing all the windows , your window will check your settings automatically. So, It was a small but beneficial guide. Hope you did like it.